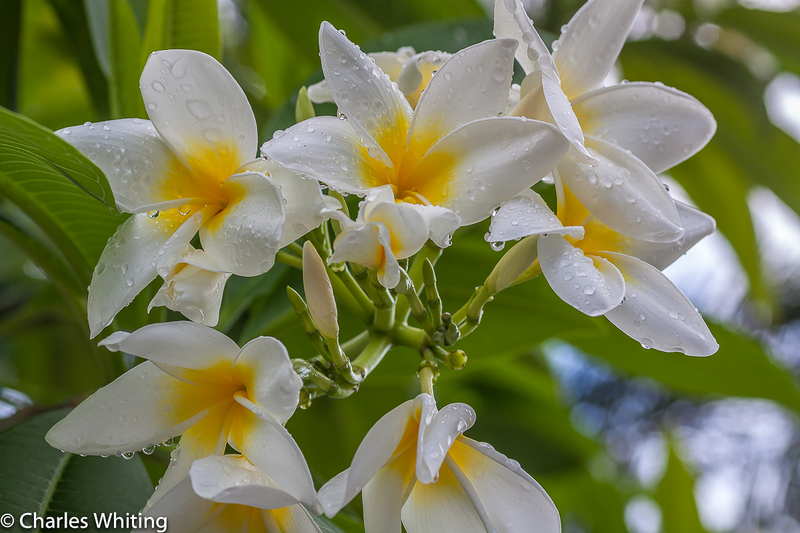 Water droplets decorate frangipani flowers after an early morning rain shower. Providenciales, Turks and Caicos Islands. Photo © copyright by Charles Whiting.